Since the success of ABC's Extreme Makeover, Dr. Griesser is increasingly asked at her Sugar Land and Houston area office, what can a cosmetic dentist do with porcelain veneers to enhance a smile? With custom-made porcelain veneers, Dr. Griesser can close spaces between teeth, fix cracked, fractured, crooked, or injured teeth, and beautify stained and colored teeth that do not respond to bleaching, in some cases in only two office visits. For her patient's Smile! Designs, Dr. Griesser works closely with master ceramists from Da Vinci, Aurum and other highly regarded laboratories in US and Canada. 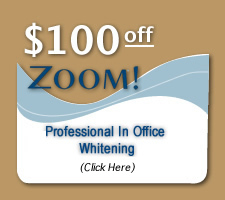 Call us to schedule your Smile! Design consultation. A porcelain veneer is a semi-translucent porcelain laminate that is permanently bonded to your tooth. It is one of the most aesthetic cosmetic procedures used to correct the above described dental concerns. Because of the of layering of the colors and the different shades and translucencies of the composite to make it look lifelike, porcelain veneers give a very natural appearance that is translucent like enamel. 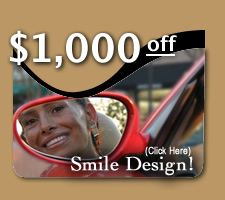 We help you create beautiful smiles with little or no tooth reduction using Durathin Veneers. By using a traditional porcelain build-up technique instead of the popular pressed ceramic products, our technicians are able to make shade changes, correct ortho problems, and make other cosmetic improvements while you remove lit- tle or no patient enamel. Durathin veneers are very aesthetically pleasing because they are created by blocking out undesirable colors and allowing the beauty of the natural teeth to shine through. Because all of the color is built into the veneer instead of added on to the surface, we are able to make the most of the available space. Durathin veneers are great for patients who are concerned about having too much enamel removed. Prior to bonding, these veneers are extremely fragile because they are so thin (sometimes less than 4mm). However, once they are bonded they become very durable.